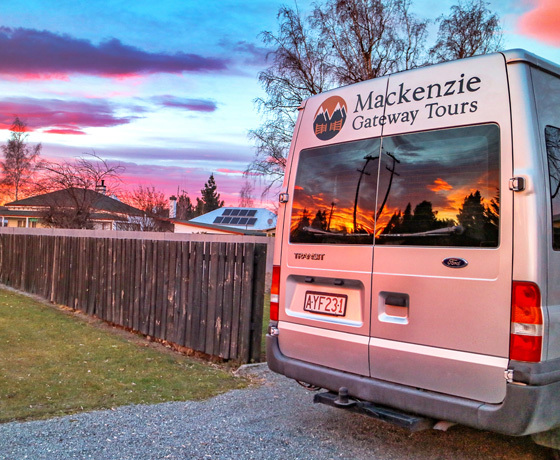 If you are thinking of taking a one day or one week holiday through the Mackenzie Region, get in touch with Mackenzie Gateway Tours! 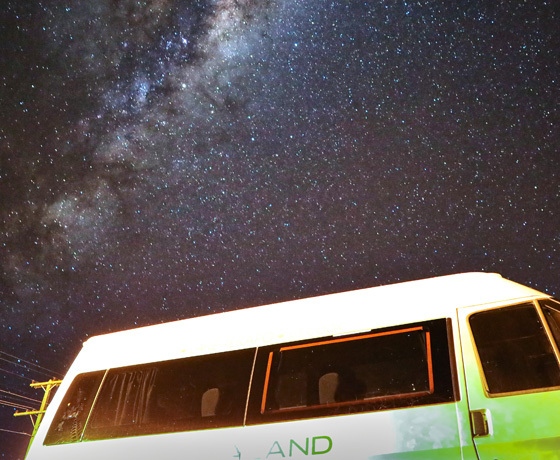 Let them help you see the local attractions in comfort and at your own speed. There will be no rushing around on these trips – just time for you to see the things that you have come here to see. 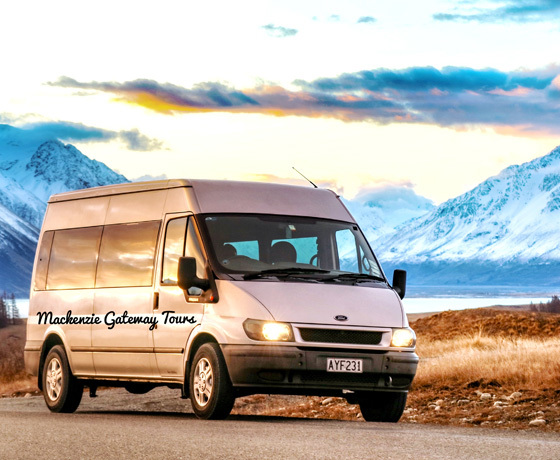 • Ski shuttle service up to ski fields, the rate is per person. 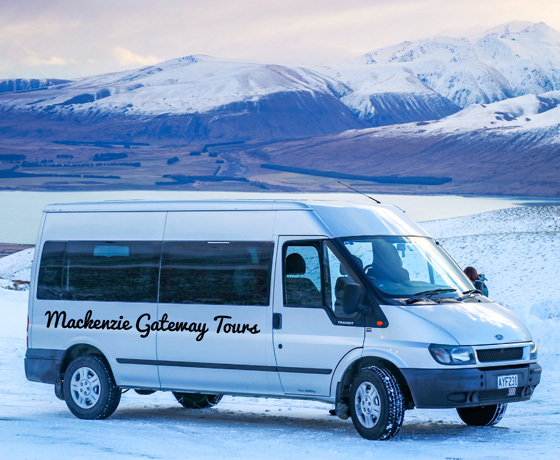 How to find Mackenzie Gateway Tours? Turn off Fairlie’s Main Street onto Talbot Road.